Aanchal Rawal, the girl full of enthusiasm and energy, comes from the traditional background of a middle class family from Lucknow. Making her way through different schools and cities, she knows how to fit in and yet, stand out. From Ghaziabad to Paris(more on this later) – she is one of the aces from the class of 2017 at IMT Ghaziabad. The passion with which she talks, the energy and the spirit make sure to leave a lasting impression on you. L’Oréal Brandstorm 2016 brought out the best in her. 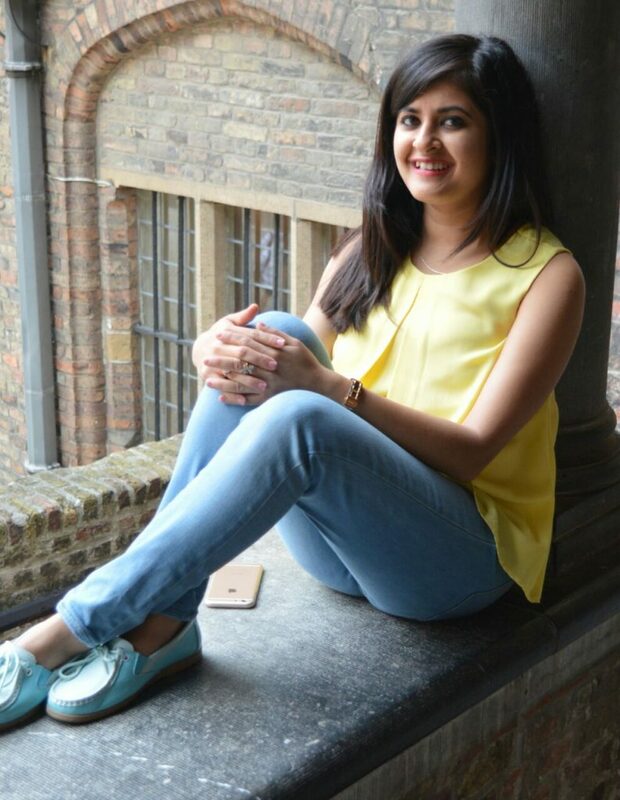 Defeating 700 teams across the B-school arena in India, she represented L’Oréal India at Paris. Standing in the competition against 52 nations worldwide, she projected an image of confidence, achievement and possibilities. In hindsight, she says that hours of preparation, undivided dedication and coordinated teamwork were the key to her resounding success. Her win brought accolades to our alma mater and also instilled a feeling of confidence in all the juniors – the world is full of possibilities; all you need is to try harder. Beyond the competition, she has been actively engaged in areas of community service. Working with the Robin Hood Army, she has dedicated her time to the cause of hunger management. She believes that it is essential for us to give back to the society in whatever little ways we can contribute. She completed her summer internship with Godfrey Philips India Ltd. and this year she is one of the four students across the nation to bag a job with Cisco India for the profile – Associate Sales Representative. Apart from decent academics, she loves to dance, travel and read. She is also an active member of the Public Relations, Information & Social Media Committee at our college, contributing towards building the brand ‘IMT’. High school reminds me of some splendid memories and friendships which will last a lifetime. My father works for the public sector, which led me to change schools and cities while I was growing up. Hence I met a diverse set of people who I believe have had a large role in making me adaptable. I learnt how to strike a balance between studies and extracurricular activities during this period. From my childhood, I have had dreams which changed with seasons. Someday, I wanted to be an astronaut, while the other day I would want to see myself as a fashion designer. Maturing through those dreams, marketing was a combination of luck and choice. Gradually, it has become something which I have started cherishing and something which intrigues me to the core. I believe, with or without money, I would love to spend my career in this engaging field. I would ask a 5 year younger me to simply “follow her heart”. I would want her to take up things she likes and not what others expect from her. I would have asked my younger self to be more courageous. To not be afraid of doing what you want to. Because one can not be happy until they do what they are really passionate about. I think men and women are equally equipped to deal with problems. Problem-solving isn’t a gender specific issue. As educated individuals, we need to realise the vitality of both men and women in our society and treat each other with mutual respect. I do not support the practice of awarding extra points to women candidates at the IIMS or any other B-schools, But I do believe that it is imperative to have gender diversity. I’m still waiting for the day, when our girls will outnumber and there will be no need for such a practice. Yes, of course, I always prefer to pay. Women want and should receive, treatment as equals on all fronts. I like taking care of myself and I like taking care of those I love, as well. I prefer to keep it entirely even, so we end up splitting the bills. 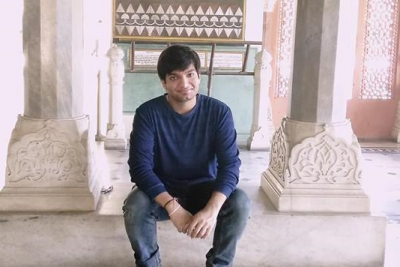 Archit Kacker is a student of Marketing, of the two-year full-time AICTE approved and AACSB accredited residential PGDM programme at Institute of Management Technology, Ghaziabad. He is the coordinator of the Public Relations, Information and Social Media (IMTeam PRISM) committee at IMT Ghaziabad. His areas of interest include mythology, politics, social causes, sports, current affairs and general issues etc. He is an avid follower of the question-and-answer site Quora. He has over 5,00,600 views on his answers.